Making the decision to use a Property Manager when renting out your Vacation Rental Property in the Cayman Islands. When considering a Property Manager to manage your vacation rental in Cayman Islands, you have to choose a company whose management style will work best for you. You have various options, you could manage the unit yourself, hire a Property Manager or a combination of both. Let me break down each option. A Property Manager is a professional vacation rental manager who manages more than one property that is not owned by themselves. If you would like to use a manager, go online and start your research, analyze the results that come up on the search engines. The main objective of a Vacation Rental Manager in the Cayman Islands is to rent your property, with the best financial outcome for the owner and providing your guests with the ultimate vacation experience whilst staying in your home. These days, the number one place people look for their next vacation rental is on the internet, you will want a Vacation Property Management company who focuses on building their internet presence. You want to find a Vacation Rental Property Management company that can handle everything for you, starting with taking care of the all the government requirement in order to obtain your Tourist License which will allow you to rent your house short term in the Cayman Islands. Will the company be able to market the unit internationally and locally? Will they inspect the property before and after each rental and do an inventory inspection? How will the welcome the guests to your property? Will they organize any repairs and maintenance? How will they handle the financial side of the bookings? There are many homeowners who decided to go at the rental business alone, for many there are three main reasons they choose this option instead of using a Property Management Company. INCOME: you will save on the fees. COMPLETE CONTROL: by communicating with each renter yourself you will have a better sense of who you allow to stay in your home. There are some challenges when renting your own home without the use of a Property Manager, especially if you are abroad. Finding reliable cleaners and service providers is probably going to be your most difficult part of renting your home. Your house keepers are your eyes and ears in your home, they are the ones that will be able to report back to you in regards to any damage or theft and how your renters have treated your property. Since this is an integral part of renting your property it is advised that you find someone is reliable, honest and trustworthy. With more and more vacation rentals opening up for business on a daily basis, Property Management companies in the Cayman Islands have become more and more flexible, designing contracts to fit the wants and needs of the owners. You can still self-manage with the added benefit of knowing that you have a management team in place for any unforeseen circumstances that may arise. This is particularly helpful if your vacation rental is overseas. All said and done – Managing a vacation rental property on your own is difficult and can be challenging, there is so much involved in creating a profitable vacation rental business that getting it right from the start is tough – manageable but tough! 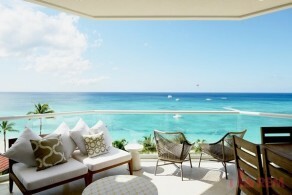 Using a reputable Vacation Property Management company in the Cayman Islands is always a good option!